German airports surprise me. Both Frankfurt and Munich airports are full of these little smoking rooms — they are like big phone booths. These booths are sponsored by cigarette companies. They area always full of people and a ton of smoke. When you walk by you are hit with a big wall of smoke. Thankfully the smoke mostly stays in these little booths. I don’t dig smoke at all. I can’t imagine how torturous it would be to sit in this room taking in all the smoke from these other smokers. 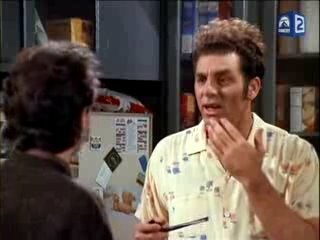 Remember that episode of Seinfeld where Kramer opened a smoking lounge in his apartment? I think of this episode every time I walk by these booths. Have you ever visited one of these little booths to get your nicotine fix while traveling? Does the smoke hit you like a ton of bricks when you pass, like it does me? Do you wish we had these in the US? By Tim in Travel on October 9, 2012 .